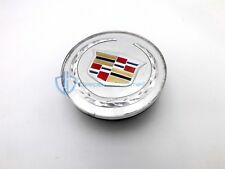 Cadillac Chrome Silver Wheel Center Cap ATS DTS CTS SRX STS Genuine OEM 2 5/8"
2004-08 GM Cadillac XLR 18" Polished Wheel Rim Center Cap Cover Hub OE 9595622. Condition is New. Shipped with USPS Parcel Select Ground. 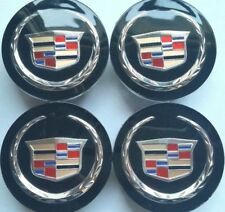 Here is a decent condition polished finish center cap for the 2004-2008 Cadillac XLR with 18" polished finish 7 spoke wheels. Our price is far less than the dealer's price. The price quoted is for one center cap only. We will serve you until you are happy. 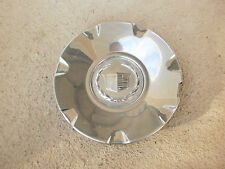 2004-2009 Cadillac CTS STS XLR Center Wheel Hub Cap. Compatible with CTS STS AND XLR models. Also looks nice for being in used condition and are ready to be installed. Hub cap has noticeable scratches but no dents or dings. CADILLAC SRX 2005-2015. CADILLAC CTS 2005-2015. CADILLAC ATS 2013-2015. 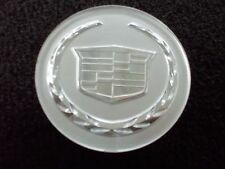 CADILLAC DTS 2006-2011. 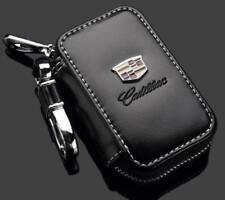 CADILLAC STS 2005-2012. CADILLAC XLR 2005-2009. CADILLAC XTS 2013-2015. 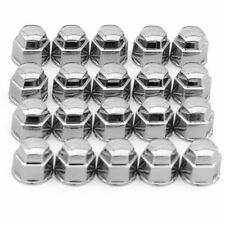 OE Part Number: 9595622. Hollander: 4576 4577. Cadillac XLR 2004-2009. Each cap has a minor, tiny flaw in the finish. Never been installed. 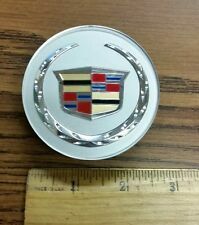 Cadillac Center Cap # 9595439. Fits other models that use the center cap #9595439. SRX 2007-2009. DTS 2006-2011. 2006 Cadillac CTS. CTS 2006-2014. ​➢ I strive to bring the best service possible. Ready to install. Part Number - 9595437. 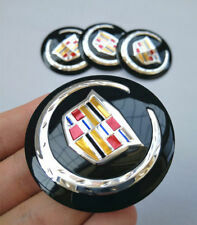 Fits Cadillac CTS STS XLR Wheel. Polished OEM. You will receive the ONE cap in the pics. 18" CENTER CAP. UNION, NJ 07083. GM #9596991. CADILLAC XLR. 18" CENTER CAP. PRICE IS PER SINGLE CAP. 7 SPOKE FACTORY WHEELS. UNION, NJ 07083. 550208 6 1/2" CADILLAC XLR 2004 - 2008 18" 7 SPOKE. 550208 6 1/2" CADILLAC XLR 2006 - 2008 18" 7 SPOKE. 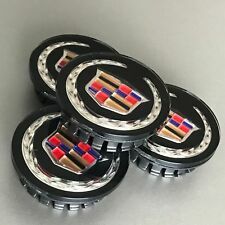 Will also fit many other Cadillac wheels require a 83 MM wheel cap or any of the part number Fits most Cadillac Escalade, Escalade ESV, Escalade EXR 18", 20", 22" Wheels from 2007 - 2013. Quality: 4 pcs. 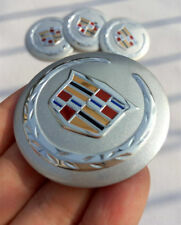 ALL XLR EMBLEMS. W/GOLD CADILLAC. 24K GOLD PLATED. UNION, NJ 07083. BiggDaddyCaddy LLC. [Home] (https://stores.ebay.com/gasolinejunkies/pages/home/) [Payment] (https://stores.ebay.com/gasolinejunkies/pages/payment/) [Shipping] (https://stores.ebay.com/gasolinejunkies/pages/shipping/) [Returns] (https://stores.ebay.com/gasolinejunkies/pages/returns/) [Warranty] (https://stores.ebay.com/gasolinejunkies/pages/warranty/) [Contact Us] (https://contact.ebay.com/ws/eBayISAPI.dll?ContactUserNextGen&recipient=gasolinejunkies) CATEGORIES [MASERATI] (https://stores.ebay.com/gasolinejunkies/Maserati-/_i.html) [MERCEDES] (https://stores.ebay.com/gasolinejunkies/Mercedes-/_i.html) [BMW] (https://stores.ebay.com/gasolinejunkies/BMW-/_i.html) [JAGUAR] (https://stores.ebay.com/gasolinejunkies/Jaguar-/_i.html) [JEEP] (https://stores.ebay.com/gasolinejunkies/Jeep-/_i.html) [CORVETTE] (https://stores.ebay. NOTE: ALWAYS BETTER GENUINE FACTORY OEM. CADILLAC XTS 2013-2015. CADILLAC ATS 2013-2015. CADILLAC SRX 2005-2015. 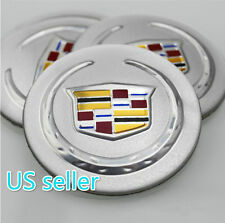 CADILLAC DTS 2006-2011. CADILLAC STS 2005-2012. CADILLAC XLR 2005-2009. VOGUE TYRE. You have to match the part number we have listed or identify as interchange reference to the part number your center cap has in order for it to fit. Installation: Cap installs from front of wheel.